This is another picture from "the island." I love doors, so I couldn't resist. Somehow doors always represent a kind of mystery to me. I often just like the look of them. But, I'm also so curious as to what lies behind the door. 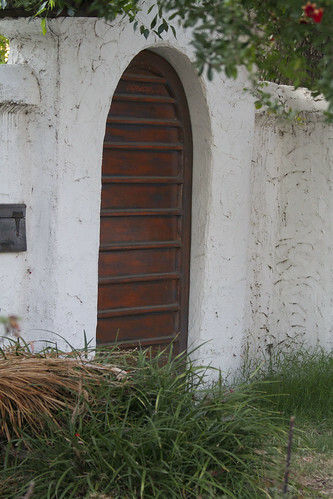 My guess is that this door leads to a sanctuary, a garden of some kind that is beautiful and serene. My guess - the door is solid and strong and it leads to strong and solid single man waiting for me :-))). Great photo quality in every post of your three-part blog, extra pleasure is to visit your personal sites. I am glad I am following.